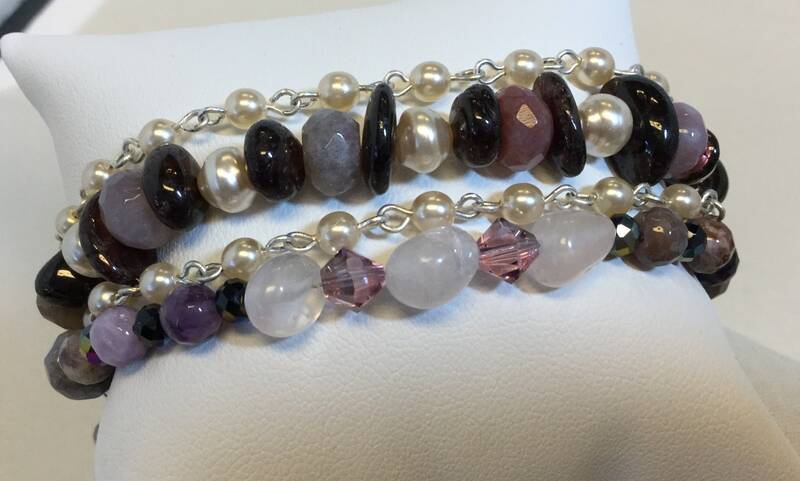 This four-strand bracelet combines garnet chips, jasper, pearl, moonstone, and amethyst with Swarovski crystal and two chains of pearls. An anchor charm at each end helps the bracelet stay in place. The hook closure ensures easy on and off. The bracelet can be shortened or lengthened prior to shipping. Just send me a convo with your wrist size and I’ll let you know if I can adjust.